Ring Wars Carolina: THIS SATURDAY!!! EXTRA****EXTRA***READ ALL ABOUT IT!! !THIS SATURDAY!!! EXTRA****EXTRA***READ ALL ABOUT IT!!! THIS SATURDAY!!! EXTRA****EXTRA***READ ALL ABOUT IT!! !THIS SATURDAY!!! EXTRA****EXTRA***READ ALL ABOUT IT!!! This Saturday you could have a chance to take home a piece of His-story! 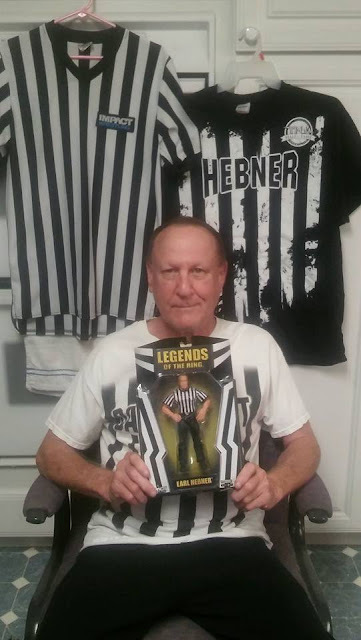 This saturday, the Hall of Famer Earl Hebner will be auctioning off some very hard to get items! Check it out! I'm sure he would love to autograph them for you also! Ladies and Gentlemen, Boys and Girls, Please join Ring Wars Carolina as we say THANK YOU to The NC Baptist Men for coming and helping the Communities after The Hurricane destruction. These men walk away from their friends and family to come and help rebuild and ask for nothing in return. 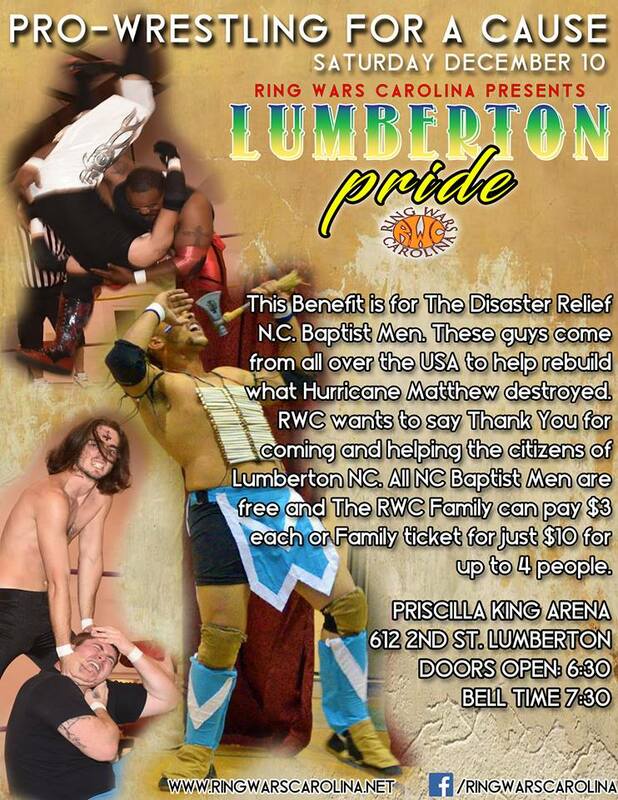 This Holiday RWC wants to make sure these men know how thankful we are by showing them some LUMBERTON PRIDE! Along with some great sports entertainment we are providing some wonderful, Fresh grilled and barbecue chicken, Free as it last starting at 6pm. Special Guest for the evening is HOF'er " Earl Hebner ", that is correct! WWE, TNA, World Famous, Most Recognizable and Most Unpredictable referee in the world, Earl Hebner! This can't get any better, but wait, yes it can! The admission is only $3 per person or $10 for a family of 4! Enough said about that! Doors open at 6pm, "Straight shooting with the Stic live" 7pm, Action starts at 7:30pm!